Hi Lovelies! 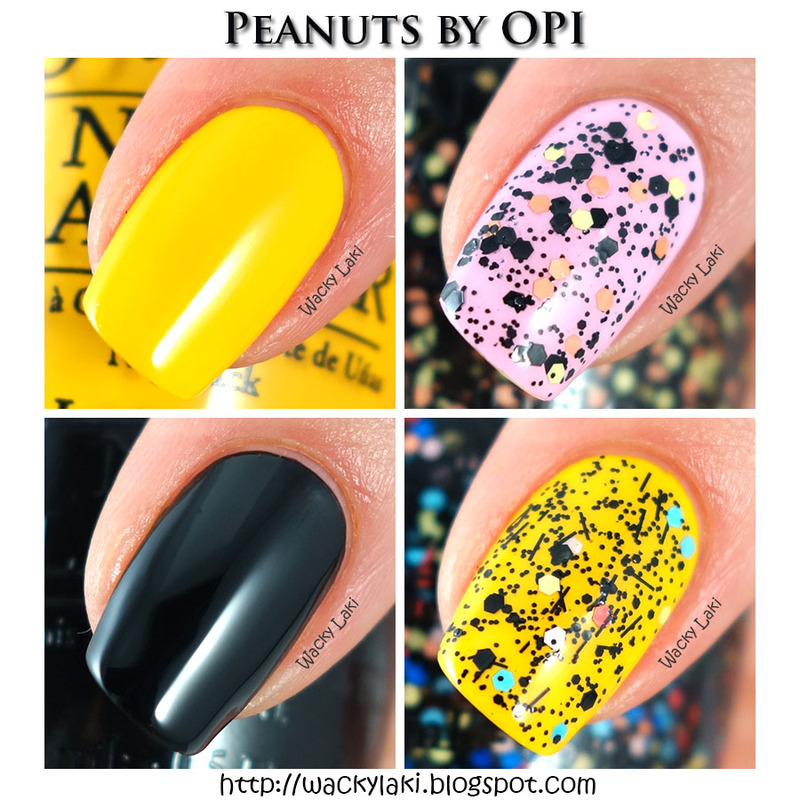 Today I would like to show you a manicure that I created while playing around with the the Polished by KPT Cosmic XOdus collection. I couldn't get enough of this silver holo glitter bomb so I decided to try accenting it with a bit of mesmerizing stamping. Hi Lovelies! 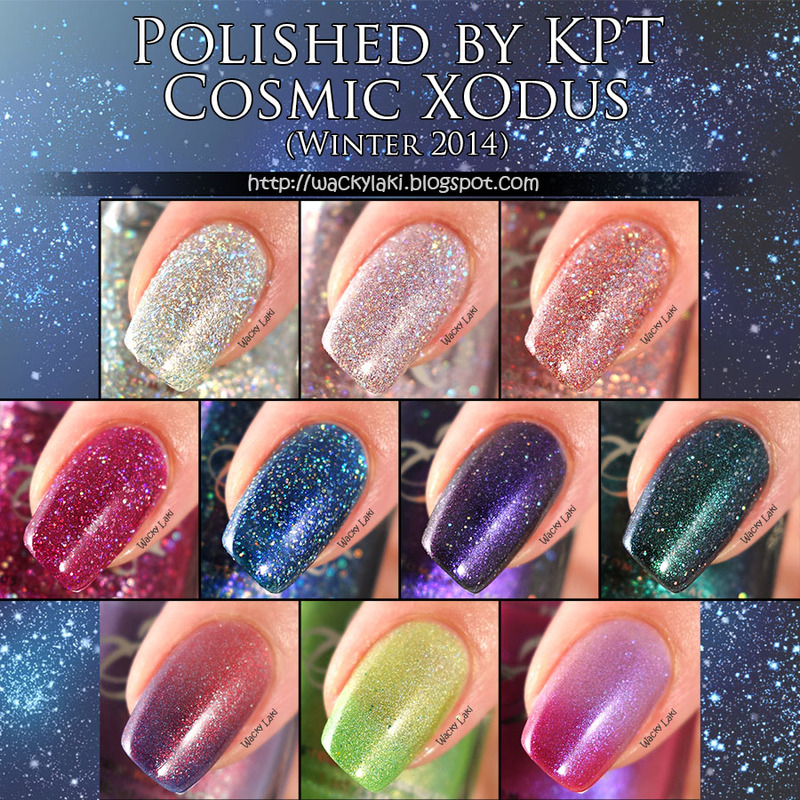 I've been busy swatching and today I'm excited to show you this gorgeous Winter collection named Cosmic XOdus from Polished by KPT which will be released tomorrow. The collection includes a variety of different finishes including glitter, duochrome and of course thermal. Since this post is looong, I'll make my intro short and get right to the swatches and review. I hope you'll enjoy! Hi Lovelies! 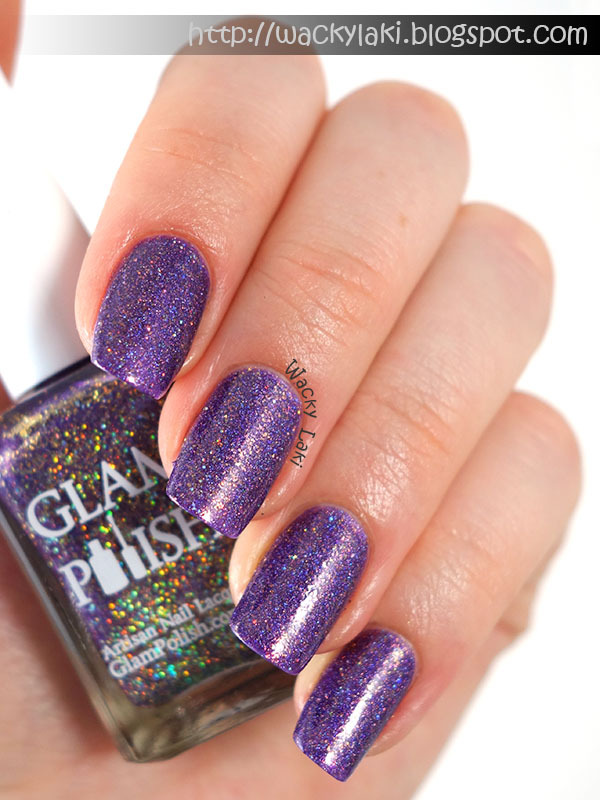 When I see purple, I think gold and if that purple has a gold shimmer then it is practically a crime not to play it up. 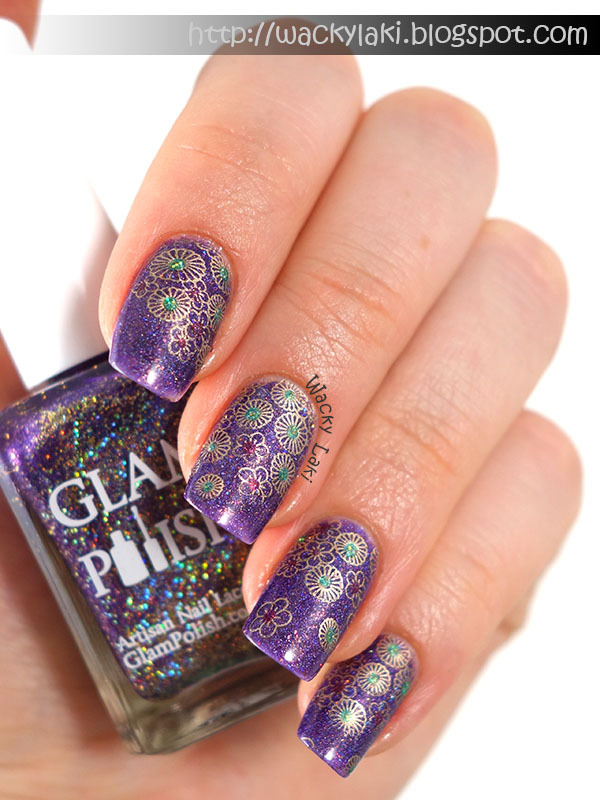 It is probably my favorite color combo ever and therefore should come as no surprise that I couldn't resist playing around with some stamping and this gorgeous purple shade from the Glam Polish Broadway collection! Hi Lovelies! As promised, I've got a tutorial for my last manicure to show you today. It is a quite simple look when you break it down and I hope that will encourage you to play around with striping tape as well. Whether it is this arrangement, one from a previous tutorial or something you create on your own. Give it a try and remember to have fun! Paint your nails the desired base color and allow it to dry completely. 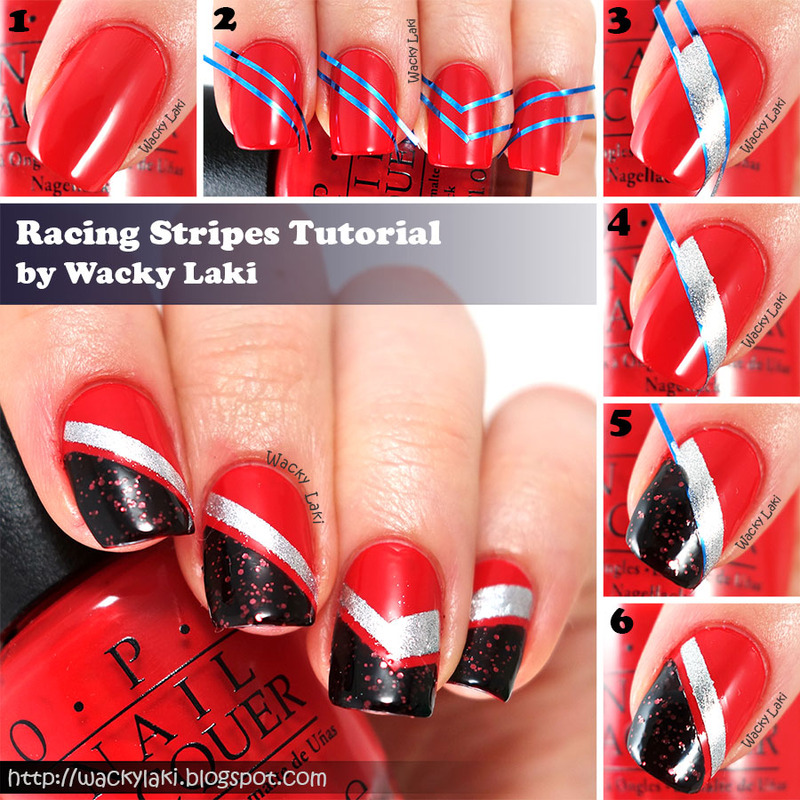 Arrange striping tape as shown above. For my thumb, I used a similar chevron arrangement as on my ring finger, but a simple stripe would work just as well. Using the silver polish, paint in between the two sections of striping tape. Remove the striping tape closest to the cuticles while the polish is still wet to ensure a clean line, but leave the other piece(s) of striping tape in place. 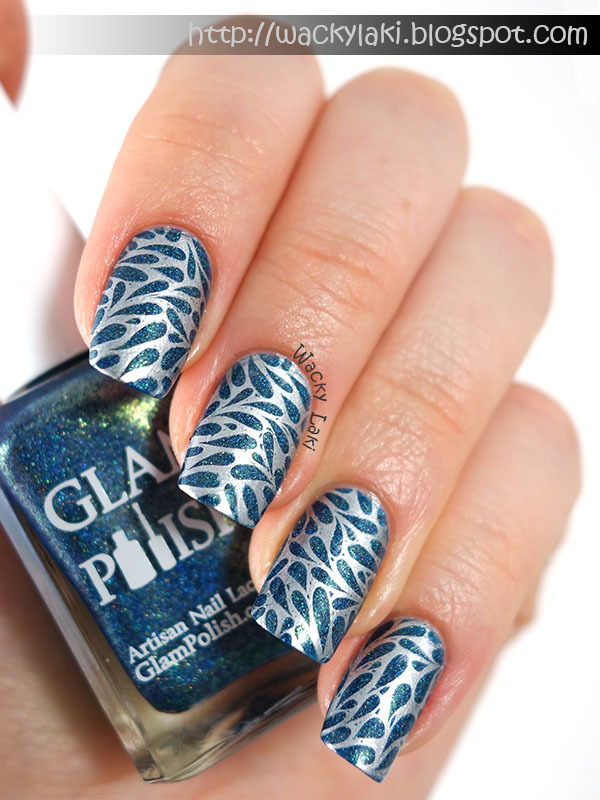 Apply the glitter polish covering the nail tips up to the remaining striping tape. Remove the striping tape while the polish is still wet. Add a top coat to seal in your work and enjoy!! I hope you enjoyed this quick tutorial! Please don't hesitate to ask questions and let me know what you think of this! Hi Lovelies! 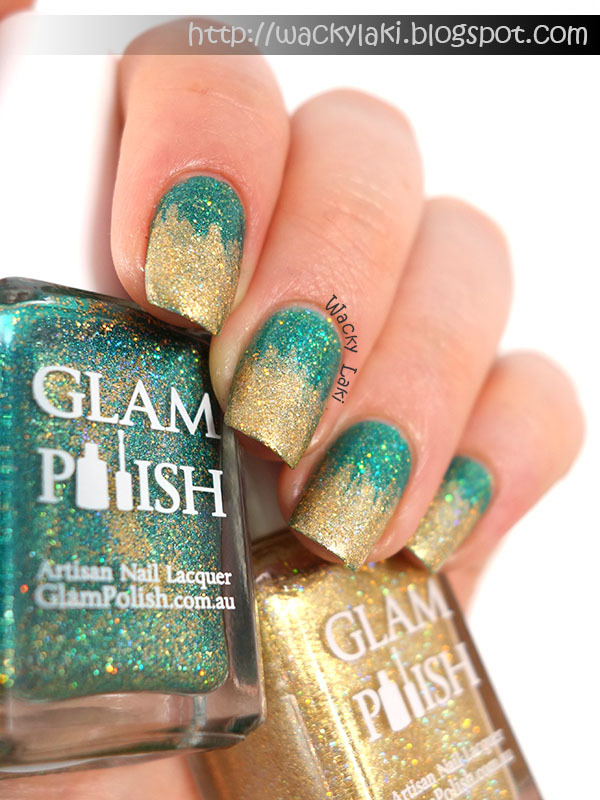 Today I'm super excited to show you some gorgeous shades from the upcoming Glam Polish Broadway collection. 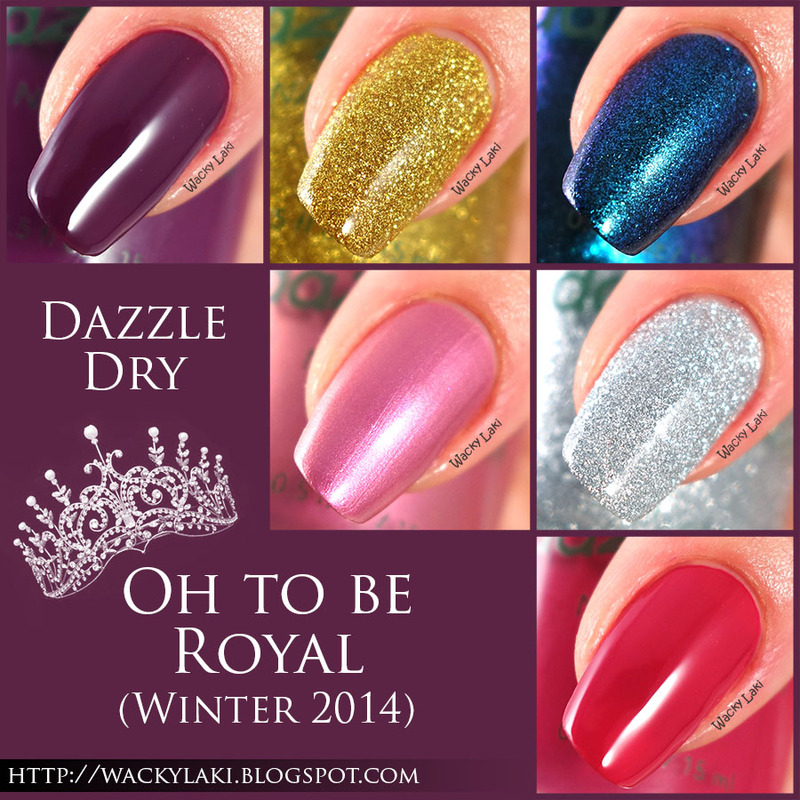 These shades have been inspired by the glitz and glam of Broadway musicals. 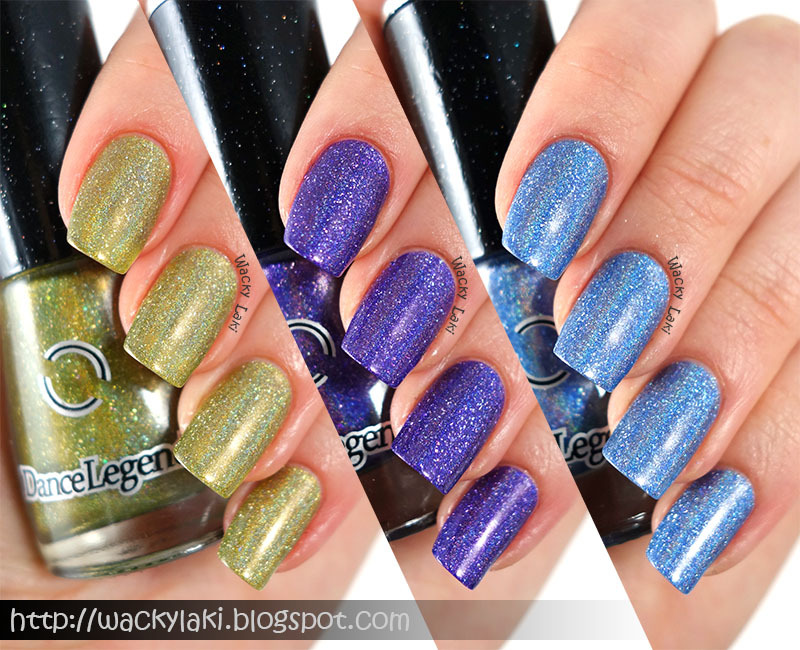 Loaded with sparkle and plenty of ultra holographic glitter these lacquers really capture what they set out to do. The collection consists of nine shades and I've got six of them to show you today.